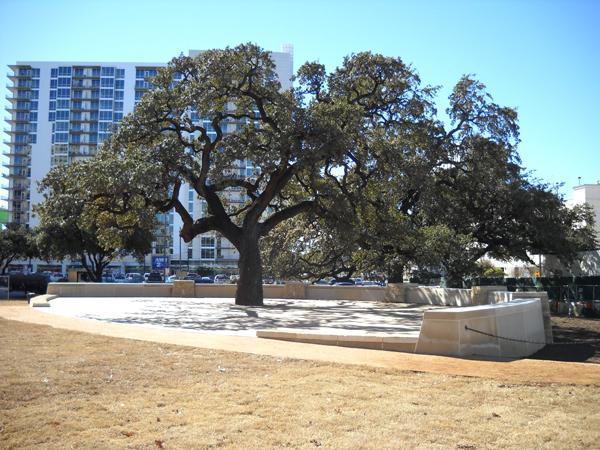 The project consisted of the design of a 4,000 square foot deck under the central auction oak tree at Republic Square Park. The new deck structure was carefully designed such that its construction had minimum to no disturbance of the existing oak trees’ root systems. The deck also provided protection for the tree’s root systems and allowed visitors to enjoy sitting under the tree.